Panel Perfect use a specialised technique to remove minor dents from vehicle body panels without the need for filler and paint. 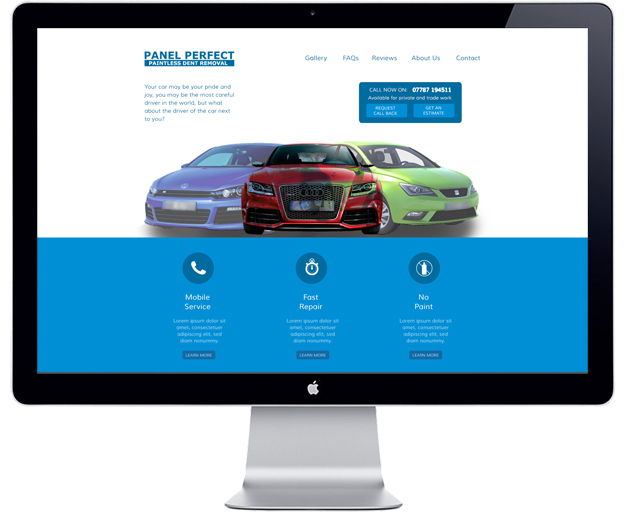 The Panel Perfect website was designed with Emblime Design. Our brief was to update the client’s website on a low budget whilst creating a clean, polished look in keeping with the company.